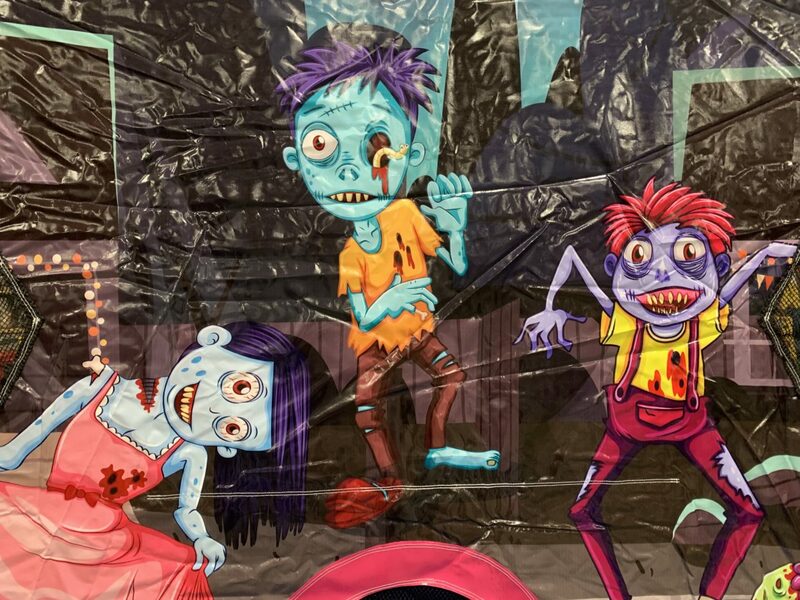 Zombies are in town and they’ve attacked! 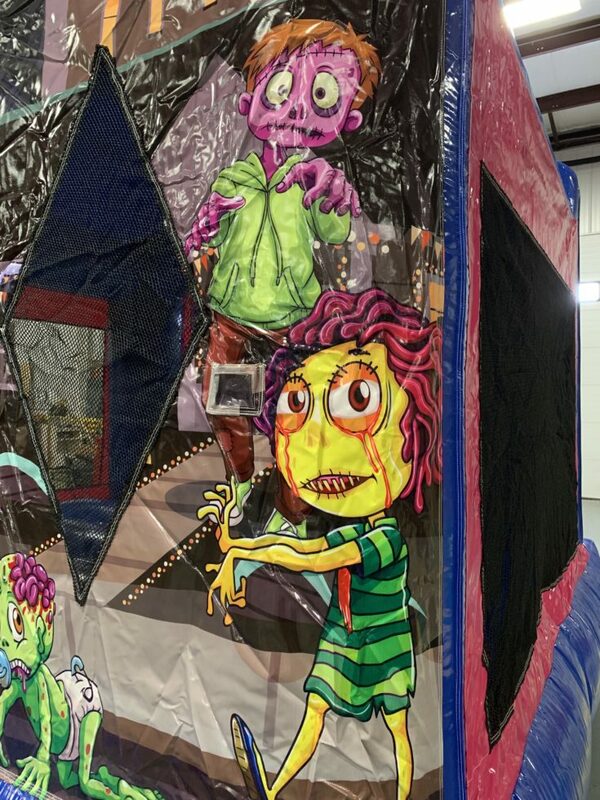 Well, sort of…. 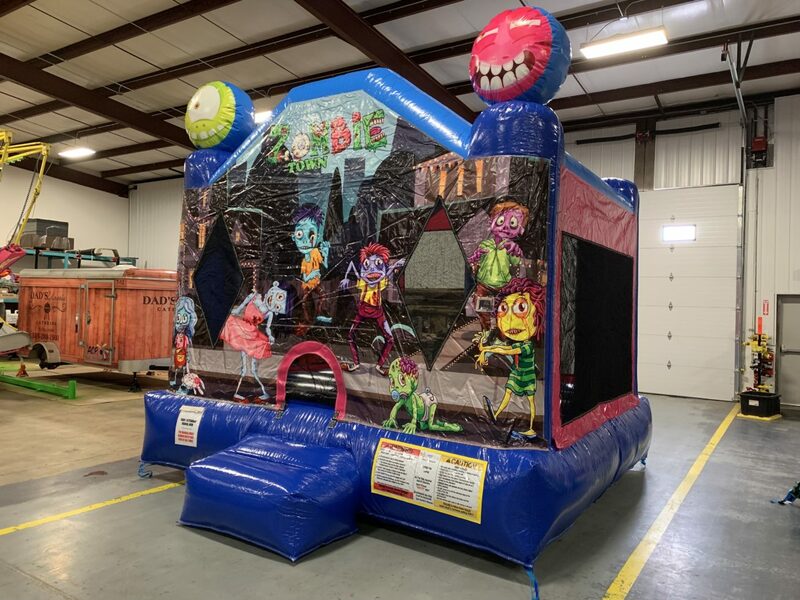 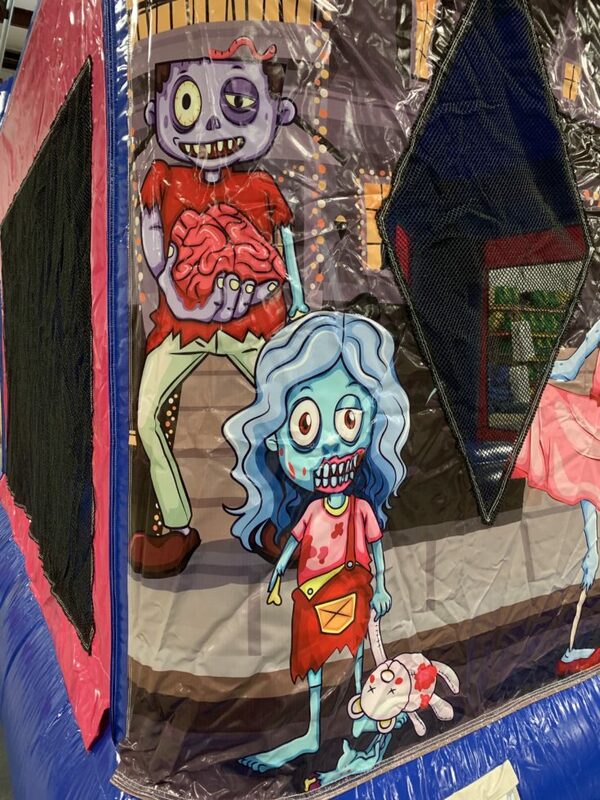 This playful cartoon zombie themed inflatable bounce house is great for not only Halloween events, but any event whether it’s themed to match or not! 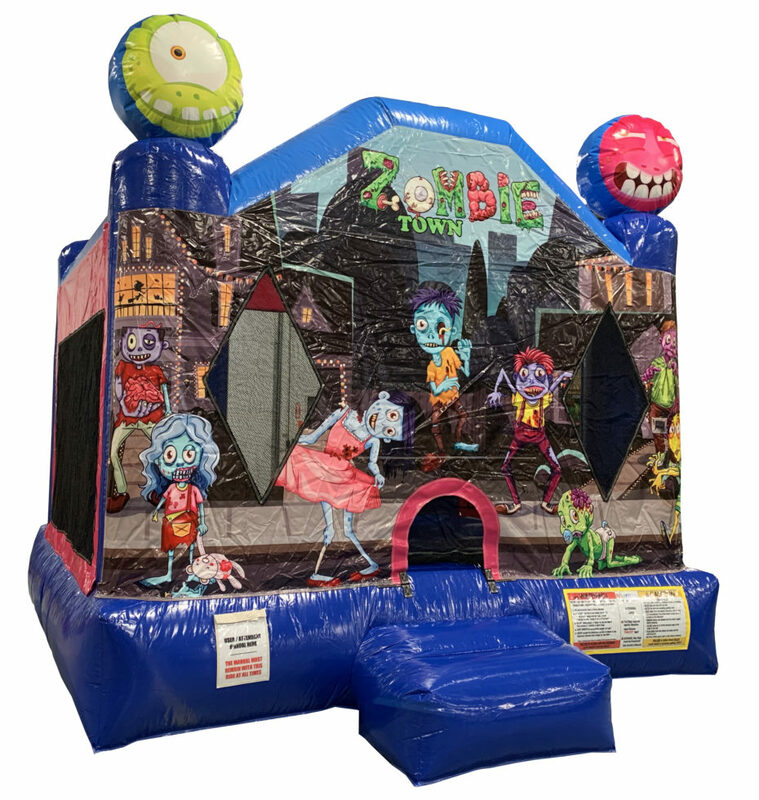 Zombies are huge in pop culture right now which would make this bounce house an attractive piece no matter where or when it’s used!